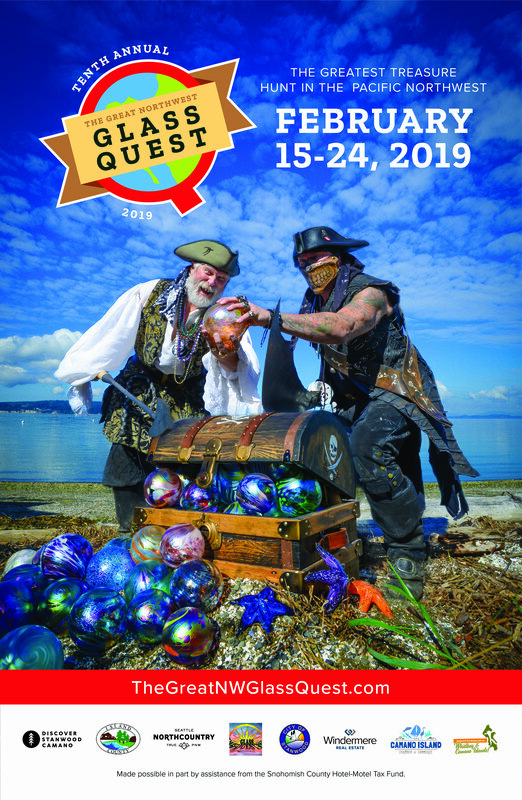 Mark your Calendar for the greatest treasure hunt in the Pacific Northwest! Come to Stanwood and Camano Island to search for unique hand-blown glass treasures by world-renowned glass artists, Mark and Marcus Ellinger. Presented by the Camano Island Chamber of Commerce. This event attracts over 10,000 people to Stanwood and Camano Island every February. See what the excitement is about and register your business today. Meet Mark Ellinger - the artist behind the Great Northwest Glass Quest.